Miguel’s “Sky Walker (Spanish Version)” Out Now! 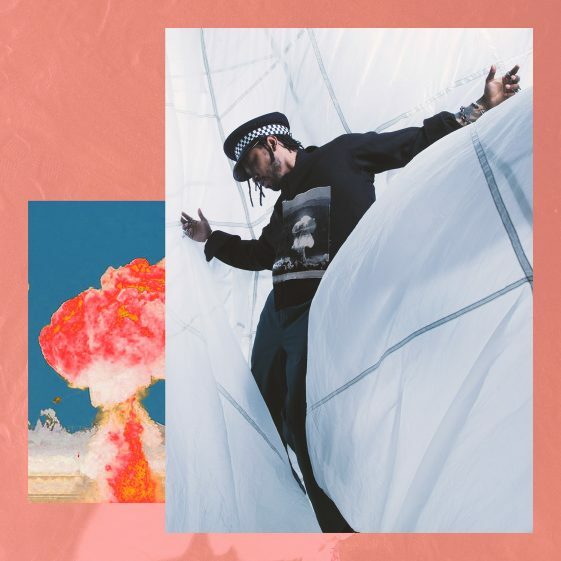 The new “Sky Walker (Spanish Version)” is the first in a series of Spanish language versions of War & Leisure tracks, Miguel’s fourth studio album. The popular Argentinean singers/songwriters, Dante Spinetta and Emmanuel Horvilleur were in charge of the Spanish adaptation. Miguel also joined Mexican pop singer Natalia Lafourcade on the song “Remember Me” from the Pixar record-setting film Coco. Both artists performed this Oscar winning track on the Academy Awards in the beginning of March. The album War & Leisure (ByStorm Entertainment/RCA Records), released last December, is a meditation on the duality of our times. Miguel has described this album as his “most upbeat”, equipped with features from J. Cole, Rick Ross, Travis Scott, Kali Uchis, Salaam Remi, and QUIÑ. Listen to the album here http://smarturl.it/WarAndLeisure. Miguel is currently in the midst of 35-date tour presenting this album in the US and Canada, concluding on April 12th in Berkeley, with a final stop at Coachella Music Festival. Miguel’s Album “War & Leisure” Out Now!